Real Australian Women: Canon and Mamamia share their true images. Here are four versions of what a real Australian woman looks like. For decades, the gatekeepers of how women were portrayed in the media were magazine editors, fashion and beauty directors and advertising art directors. They were the ones who chose the models, booked the photographer and then chose which images were published. This is how what a ‘beautiful’ or ‘attractive’ woman came to be defined. In this very narrow way by this small group of powerful people. Today though? We all have the power. Female photographers are flooding the world with images of women. Women are flooding the world with images of women. Images of ourselves and images of each other. Different looking women. Women who are not models but do all manner of things, are all manner of ages, shapes and sizes and come from all manner of different backgrounds. Here at Mamamia, we stand for making the world a better place for women and girls. And an important part of that is showcasing images of women that are diverse. Real. Authentic. This month, Mamamia partnered with our friends at Canon for a photography competition celebrating the real women who make up the incredible fabric of our nation. Our project was first announced at Kelly Brown’s Baby Summit, where I was a keynote speaker and met some of the most delightful female photographers in the country. All the entries in this competition were from women who attended the event at the Sunshine Coast and after receiving an overwhelming number of responses, we selected our favourite images of the series and asked the photographers to share with us the inspiration behind the photograph they took. Q: What does #realaustralianwomen mean to you? A: It means women who authentically represent themselves and their families. Women that are fearless and kind; powerful and nurturing. I think women who can embrace femininity without giving up their power are truly the real deal. Q: How do you feel the image you have entered represents #realaustralianwomen? A: This is an image of a mother, a goddess, a business owner and a wife. She is effortlessly graceful and loving and the image seems, to me, to be feminine and womb like as it is surrounded by the curves of light. 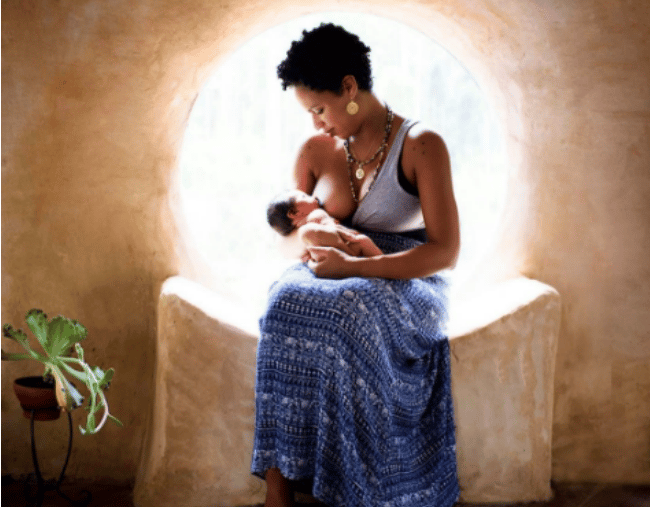 This image is also so much more than my gorgeous friend Porscha nursing her new baby. It also represents a leap of faith for me. It was the very first image taken in my new studio. It represents my own courage to take the next step in my life. From the relative ease and security of working as an Engineer to my new role of looking after my own children, following my passion and being fearless and starting my new business as a photographer in Queensland. It is an image about two #realaustralianwomen and that’s what I see. You can find Living Studio Photography on their website, Instagram and Facebook. Q:What does #realaustralianwomen mean to you? A: #realaustralianwomen to me, means someone who never gives up. Someone who gets in and just gets the job done. Someone who tries their best every day and if things don’t go according to plan, then they try again even harder the next day. It means someone who can have a laugh and have some fun with a little spark in their eye. A woman who is strong, confident yet has a softness about them at the same time. Real Australian Women roll with the punches, step up to a challenge and do everything they can to make this world a little better for those around them. A: My image is of my friend Dotty and her five children. Dotty is one of the greatest mums I know. She is strong both physically and mentally. She works extremely hard running her home and making sure her children get the best experiences that the great outdoors can offer. There are no iPads or devices in their home. They are brought up like I was as a kid back in the 80s. Dotty is a bit of a novelty in our area. Not only is she one of the nicest people you will ever meet, she is always happy and she will always be the first one to offer a helping hand when with five children you would think she would be the one who needs the helping hand. Nothing is too hard and she always manages to put a positive spin on every situation. If they could bottle a bit of Dotty, it would be worth a million dollars. Dotty never backs away from a challenge and is so encouraging to all of those around her. I am so lucky to call her my friend. You can find Little Kite Photography on their website, Instagram and Facebook. A: Australian women are the backbone of the nation – they are more empowered than ever before personally and professionally. She is capable of anything she dreams. And while that is all amazing she is also trying to juggle it all which is why she has become a great multitasker. She is a mother, wife, daughter, friend, sounding board, bread winner, and in between that she is entitled to just some quiet time by herself. She works hard, loves her family harder and also knows how to let her hair down and have fun! Pauline – #realaustralianwoman @mamamiaaus While we were all sleeping the early hours of today’s cold frosty morning, Pauline was out in the elements helping a mother horse deliver her foal. Pauline is my next door neighbour and a truly inspiring Australian woman. Horses are her passion and she, along with her family have built her passion into a successful business at Three Bridges Thoroughbreds. To me Pauline is a true testament that success does not come without passion and bloody hard work. This image was taken five hours after the foal was born – exciting to think she could have just helped deliver the next Australian race champion!! A: Passionate, determined and bloody hard working. I’ve had this conversation time and time again with my girlfriends who own businesses from cake decorating to clothing shops to tech businesses. Rewards don’t come without hard work, some sacrifice and a love of what you do. This applies to ANY woman no matter what she does – from a full time mum to a CEO! Unless you put in the hard yards that little seed you started with won’t grow. I also think this image represents a large number of women who hold the titles Mother. Wife. Daughter. Friend. This woman is the rock to all those around her many titles she holds. I especially love this image for the representation it has for the women of our land. The ones who are out in the elements rain, hail or shine. The ones who pitch in and get their hands dirty. The salt of the earth women. Pauline had a passion for thoroughbred horses and with the support and work of her family turned it into an empire. This image was taken five hours after she helped deliver a baby foal in the bitter country Victorian frost. Exciting to think she could have helped deliver the next Australian race champion. You can find Words and Pictures on their website, Instagram and Facebook. A: When thinking about what #realaustralianwomen means to me at this point in my life, the one word which immediately comes to mind is ‘capable’. Woman are capable of doing and achieving so many things whilst maintaining the elusive balance within their day to day lives, and that alone is an incredible thing. We can grow tiny humans, then nurture and love them whilst running households, pursuing jobs and careers and somehow still find time to simultaneously look after ourselves and our relationships. The thing I love the most about #realaustralianwomen, is that we unite in keeping each other sane and empower one another by creating safe and non-judgmental environments to vent, love and support. It is so grounding having a place to share our vulnerabilities, to realise that our lives are all so different but at the core we are all facing similar struggles. In times when you think you are the only one that isn’t coping, when it looks like everyone else has it together, all it takes is a conversation with another woman to see that we are all in the same boat, just trying to keep our heads afloat. I love being a woman in the 21st century, where we have so many opportunities and can be the voice of change in teaching our children about the importance of issues such as gender and marriage equality and guide them into a future that embraces diversity and crushes the social constructions that have suppressed too many for too long. A: When taking this image of Carly, I wanted it to show her strength and capability yet also capture her femininity and vulnerability. I wanted to capture a moment of stillness in her busy life and show that although she wears many hats as a mum, wife, business owner, friend, daughter, sister… at the end of the day, she is Carly – the complete, beautiful, capable, amazing woman that she is. Carly (Carly Head – www.carlylooyah.com.au) has been by my side since primary school and we have shared not only our childhood together but also careers, marriage, children and everything in between. Carly runs her own creative business and is a very talented graphic designer and photographer. She inspires me every day with her ability to juggle raising three kids, running her own business from home and supporting her husband to run his. While we are both photographers in the local Sunshine Coast market, there is no rivalry… just endless support, encouragement and pride in each other’s work and success. And I love that so much. Friends supporting friends. Women empowering women. You can find Kate Lawrence Photography on their website, Instagram and Facebook. This content was created with thanks to our brand partner Canon.